Cliff Jacobson is one of North America's most respected outdoors writers and wilderness guides. He is the author of over a dozen top-selling books on camping and canoeing. Cliff's methods have been tested, tried, and proven over decades of paddling experience. If you have been paddling a canoe for any amount of time you certainly have heard of him and most likely have one of his books on your bookshelf. If you are new to canoe/camping and want to learn how to do it right, Cliff is the guy you want to be your teacher. Steve Johnson had been guiding for Piragis Northwoods for over 25 years and he has built a reputation for being one of the best guides this canoe country has ever had. His knowledge, skill, physical prowess, and personality make him somebody that you want to have on a any canoe trip. Steve knows about flora, fauna, astronomy, fishing, and the history of this area and has the ability to make it interesting and easy to understand. He is a unique and incredibly interesting guy to be around. His enthusiasm and continually joyful spirit will rub off on you and make you happy to be doing whatever you are doing - even portaging. With these two guides working together you have a rare opportunity for an incredible canoe trip. It is too bad that we have to limit the group size to 7 because of permitting limitations. 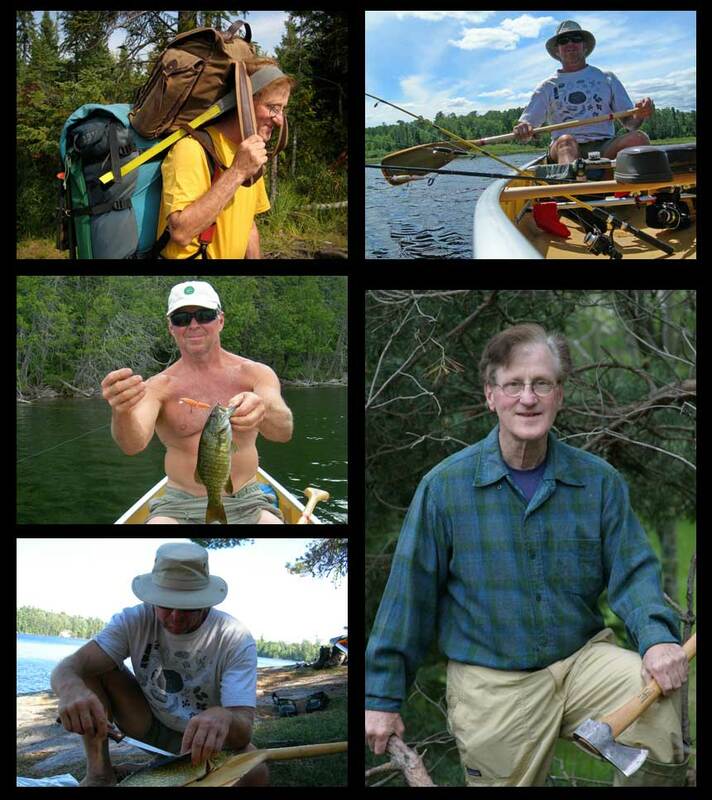 There will be many opportunities for hands-on instruction in canoeing and camping skills; and times to sit around a fire and listen to these guys share experiences and expertise that has been honed over years of in the bush. You will be able to ask them questions and tap the vast knowledge they both have garnered after countless days on the water. Learning about paddling a canoe, stringing a tarp, making a fire in the rain, cleaning fish, making your camp secure for the night, dealing with bad weather, navigation, first aid, are just a few of the topics that will fill your days. You will come away vastly more prepared to be at ease and confident in the wilderness. Both of these guys know how to prepare food in the wilderness. Maybe we can have a contest between them to see who prepares the best meal of the trip. After a day of paddling, fishing, and exploring you will be able to look forward to an excellent meal and warm conversation in a setting that will rival any you have ever experienced. Just think - this will go on for 6 days. Make sure you bring your camera and catch these guys in action. Some day you can tell your grandkids or great grandkids that you took a canoe trip with Cliff and Steve. Enough said. If you have been dreaming about a guided Boundary Waters experience with an opportunity to learn wilderness skills, this is your ticket. We take care of everything short of carrying you across the portage! Call Drew or Adam for more details and to sign up.